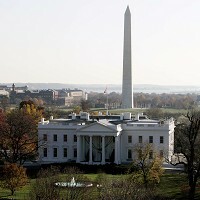 Travellers who love to visit museums will find Washington DC the best place in the world to explore, according to price comparison website Cheapflights. The US capital has topped a list of destinations in terms of being home to the best museums, beating cites including Cairo and London. The Egyptian capital took the second spot and was followed by Barcelona, New York and Vatican City. London followed in ninth place, behind Paris, Toronto and Berlin, and ahead of Vienna. With dozens of museums, memorials, monuments and art galleries within its city limits, Washington DC has plenty to occupy people taking travel insurance and heading off to the city. It is home to the world's largest museum complex, the Smithsonian Institution, which has 18 different attractions that offer something for everyone - from culture and history buffs to art lovers and space enthusiasts. There are separate museums focusing on natural history, native American and African American cultures, art and sculpture, and aerospace technology. Visitors to the National Gallery of Art and the Hirshhorn Museum will be able to view a special exhibition centred on Andy Warhol which will run from September 25 to January next year. Other must-visit attractions listed by Cheapflights include Cairo's Museum of Egyptian Antiquities, the famous Louvre in Paris and New York's Metropolitan Museum of Art.